So I was sitting at my desk at work on Wednesday past, and an email appeared. I had a package waiting for me in the mailroom. Puzzled, I wracked my brain to figure out what it might be; all of my Amazon and Goulet Pens packages had arrived. What was I forgetting? 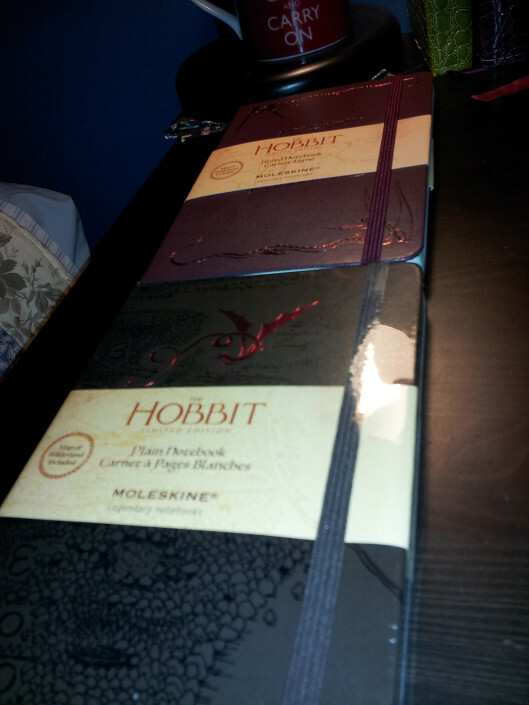 Turns out I was forgetting an order I had placed with Amazon at the end of October for two Moleskine Hobbit notebooks. The original shipping estimate was Dec 10 but they shipped early! 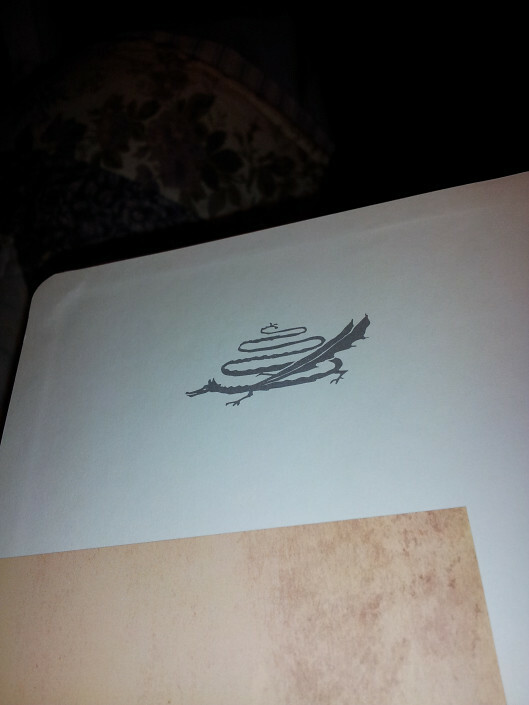 Inside front cover; Smaug with his long tail. Lovely inscription section. 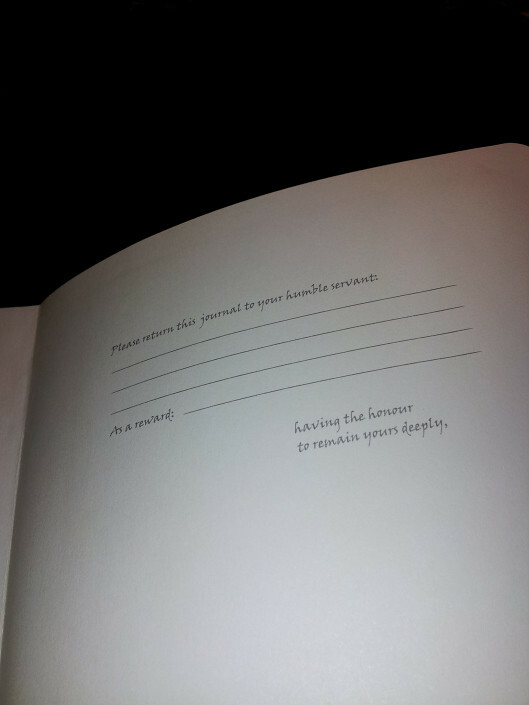 Reminds me of how Tolkien signed some of his letters. 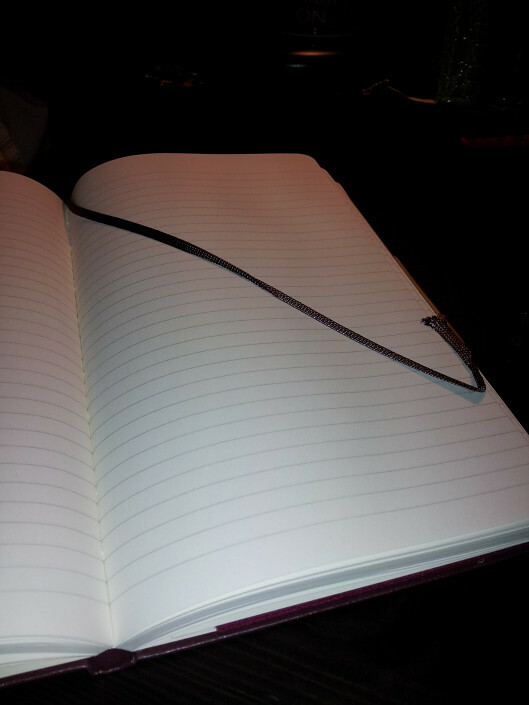 Both notebooks have the same brown bookmark. Thor’s Map, one side of the map included in the back pocket. 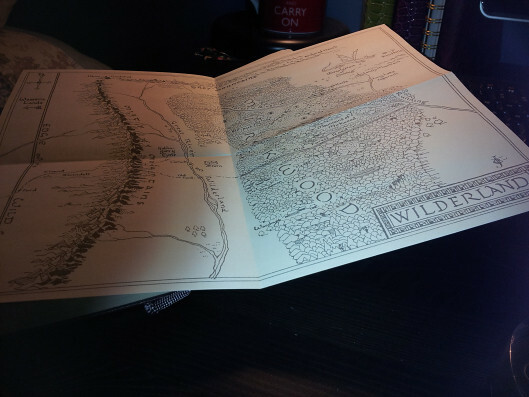 Flip Thor’s Map over to find the Wilderland map. I couldn’t photograph the metallic engraving detail on the cover of each; click here to view better photos on the Moleskine site. You can order them from Amazon here; shown above are the Large versions. I’m thrilled with my notebooks. 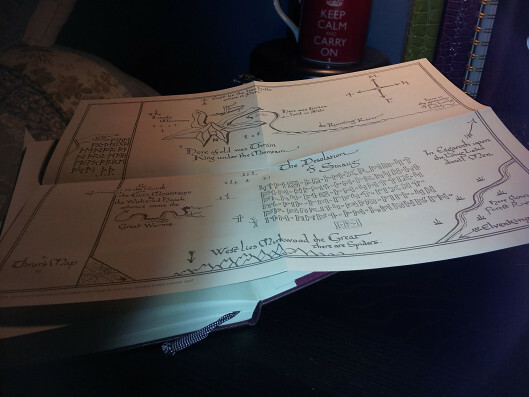 I have been a Tolkien fan since I first read The Hobbit over 20 years ago. I have a copy of every book Tolkien published, and many books discussing his influence on literature. Very excited about the upcoming film! I just got the burgundy one as a Christmas present to myself and I agree with you. 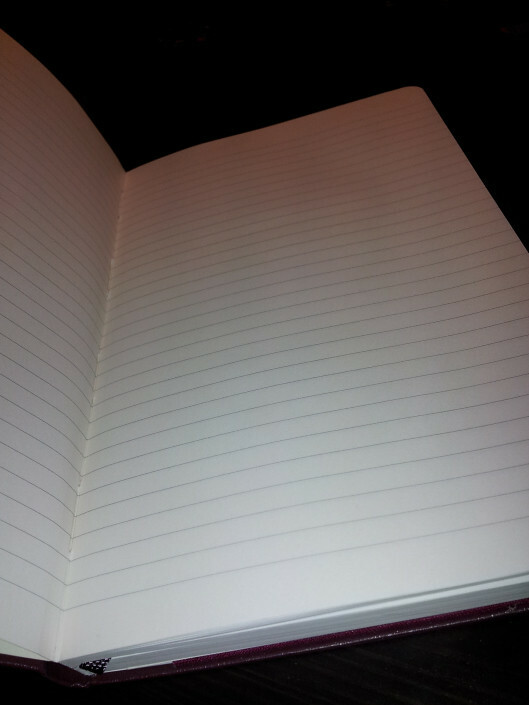 it’s a lovely notebook and I’m saving it for something special. Thanks for sharing your impressions of it. Hello! Love your blog. I am in two minds about these…they look lovely but can I justify spending that much on a notebook? Yes I can…Errr or not.